So I seem to have had a huge flux of subscribers here! Leave a comment and say hi! I had two engagement sessions this weekend and they were both a lot of fun! I love snow and was very happy to have another excuse to romp around in it! Saturday I met up with Lisa and Chris. We had originally intended to shoot outside but the snow had turned to rain right as we were meeting up, so we headed to the Boston Public Library to try and wait it out! I know a lot of great jokes. 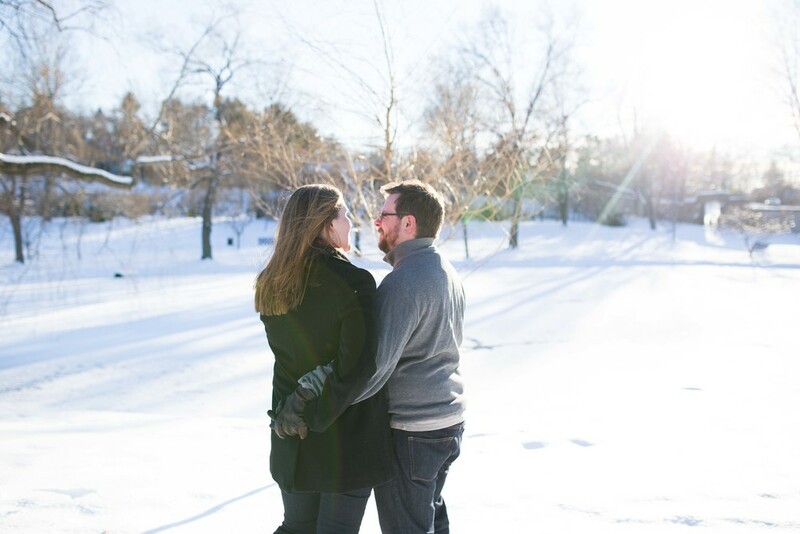 Sunday I met up with Sarah and Dave at Lars Anderson Park, freshly coated in snow! They have a plot in the public garden where they grow vegetables and flowers. Sarah is going to be growing her own bouquet for their wedding, which I will also be shooting and am very excited about!